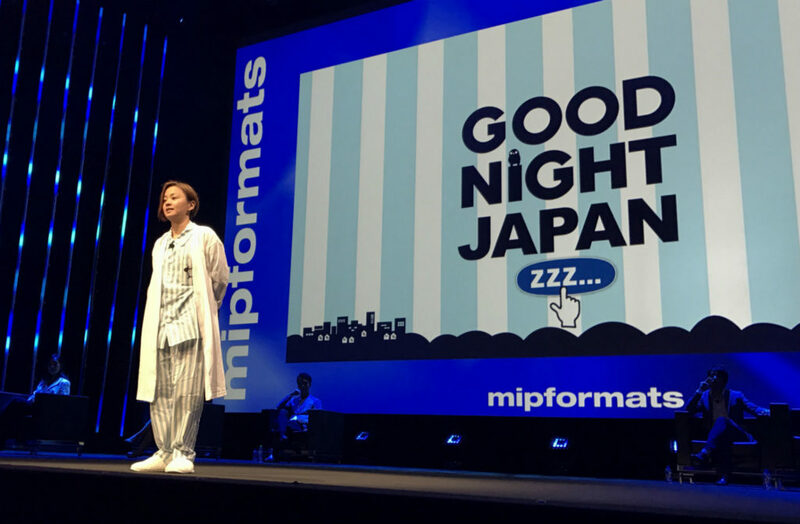 Japan has long been a fertile source of creative new TV formats, so it was no surprise to see a busy crowd for the MIPFormats Treasure Box Japan showcase. Terrestrial broadcasters YTV, Fuji TV, NHK/ NEP, ABC Japan, TV Tokyo, TV Asahi, Nippon TV and TBS showed their new formats. Tokyo Broadcasting System Television (TBS) brought a show called Kunoichi – “another exciting, physical game show” according to Masashi Yamamoto, TV program sales in TBS’ global business department. Kunoichi means “female ninja” in Japanese, and started as a spin-off from a show called Muscle Ranking. It’s an indoor obstacle-course with 50 women competing over three stages – celebrities included. TBS is licensing the format, and is happy to provide producers to consult for licensees, he added. 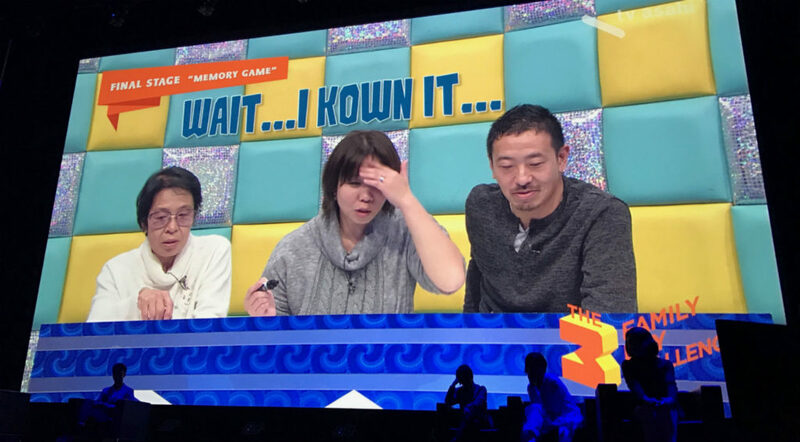 Nippon Television Network Corporation (Nippon TV) brought Meet Me There, with format development, international business development exec Yukiko Katie Nakano explaining how the show works. The series sees one half of a couple leaving a letter for the other saying “meet me there”, referring to the place they feel is the most important location in their relationship history. The other half has to visit various significant places until they reunite with their partner. “They’re so happy to see each other, it’s as if they’re on their first date!” said Nakano. TV Asahi Corporation‘s head of format development and sales, international business department Yuka Kakui showed Experts Visiting Experts, where experts in various fields from around the world come to visit Japanese experts, promising “a trip full of surprises and discoveries” – from ink-and-water paper pattern artwork to tomato-sorting farm equipment. Transportation, Foods, Architecture and Crafts and High-Tech Industries are among the categories, with 195 experts having taken part so far. She also showed The 3 Family 3 Day Challenge (above). It’s a gameshow concept: three families must complete three challenges within three days: juggling balls into cups, toppling dominos – a challenge endangered by an over-eager toddler – memorising Japanese castles and so on. Make it through, and they get to take part in a quiz-based final stage, revealing family dynamics along the way. TV Tokyo Corporation brought its This is My Mom! show to the showcase, presented by sales manager Kei Kitamura. It focuses on the relationship between a mother and her child “whether good or bad… all these feelings you have towards your mother may be the start point for an extraordinary drama,” said Kitamura. Young Japanese people are asked to describe their mothers, then the film crew makes a surprise visit to the mother’s house to find out. After a trial last November, the show is going to full-series status. There are real human stories here too: one person meets her mum after 18 years of separation, for example. “There are millions and billions of stories between children and their mothers around this world,” noted Kitamura. Asahi Broadcasting Corp‘s show for the session was Thief Chief, presented by contents manager Chiyo Mori. A top chef takes on the challenge of copying the signature dish of one of their rivals, without knowing the recipe. The ‘thief chef’ visits the rival’s restaurant to challenge them, then eats the dish and tries to reverse-engineering it. Or, as in the case shown on-screen, sneaks into their kitchen to try to steal the recipe! The show ends with the thief’s dish served up to customers of the rival restaurant, to see if they are fooled. Mori said that the show has universal appeal – “Eating is a universal human interest: we’re all fascinated with food, irrespective of age, nationality or gender!” – while noting that in Japan, the show has high ratings. NHK Enterprises senior manager Hisako Fujioka presented Good Night Japan ZZZ… next. The format is about sleep, exploring the challenge of getting a good night’s sleep. The show has two elements: studio talk and then “sleep inducers”, with viewers writing in with their sleep problems. “We actively try to put people to sleep by counting sheep and reading stories,” explained Fujioka. Viewers download an app, and when the programme has made them sleepy enough to start nodding off, they tap a button – “and when enough people have tapped the button, the show ends… the count signifies the promise that we have made to the viewers: that we will stick around until everybody is happy enough to go off to sleep”. The show airs from midnight to around 3am. “We get 20 million counts on our counter,” said Fujioka. “The data shows the programme is strongly supported by young audiences. Next was Fuji Television Network, with Fuji Creative Corp deputy director Fumi Nishibashi showing Life Changing Funds. It’s a reality / game-show format where “unrelated duos in need” with similar problems – bankruptcy, for example, or debt – get to try to change their lives. The twist is that only the game’s winners will get the cash prize. Challenges include memorising the maximum number of Pi digits in two weeks, and co-operating to get the longest possibe table-tennis rally. Nishibashi also talked about a concept called Custom-Made Format 2.0, where Fuji TV creates any new format that a customer desires, having already fielded business from the US, France, Mexico and China among other countries as a result. It takes in physical game-shows, cooking, dating, factual entertainment, sports variety, travel and kids shows. Finally, he showed Hole in the Gap. “As you know, we like watching people falling down in a game-show!” he said. Teams stand on platforms that move apart when they answer a question wrongly, and have to try not to fall into the water below. Yomiuri Telecasting Corp ended the session, with international sales manager Akito Sasagawa introducing EXPOSED! Celeb’s Private, joined by a mail-box character from the show. Filming reveals the secrets of celebrities, including “their everyday fashion that we never see on TV”. The show has been running for more than 20 years, but remains highly popular. “Everyone wants to know about celebrities, but the problem is they don’t know how to expose their private life,” he said.